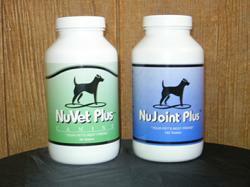 Go ahead and order your NuVet Plus Vitamins to help start strengthen your new puppy immune system. We have families ask all the time about the puppies temperament; The puppies personalities is not developed in the 7-8 weeks they are here with us. The new family will develop the personality of their of their new puppy with consistent training, love and socialization. However, your new puppy will go home with a sweet, happy and loving spirit with plenty of puppy kisses for you. It is your responsibility as their new master to train them, socialize them and love them. In return, the bond will be remarkable and your new puppy will mature to a dog that everyone will want to take home! If you visit our Nurseries and Care Center page you can see pictures of inside our nurseries and our procedures that we do here. 1. Please bring Water when you pick up your new puppy. 3. Can of Chicken puppy food to mix with your dry food. I rather for you to have these on hand in case you need them and don't have them just in case your new puppy won't eat or drink. We feed our puppies Purina pro plan chicken & rice brand puppy food. We highly recommend feeding your puppy Purina pro plan the chicken & rice brand it has everything your puppy needs to stay healthy. Visit our Puppy Supplies page to find a store close to you. When you visit our nurseries and care center page you will learn and know about our procedures that we do here and about our nurseries and crate training. We though it would be nice to go ahead and crate train your new puppy so when you get her/him home they won't cry all night. When you let your new puppy out of the crate in the morning always take her/him straight outside to potty and most of the time they will go to the door and let you know that they have to potty. If you have a dogie door they will also be trained to use the dogie door. We also have pictures of our nurseries and our crate training room so you can see that our facility is clean and well kept all the time. 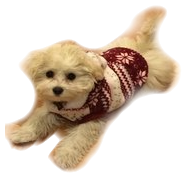 Our Maltipoo puppies live in a clean and loving environment and we also have a great health care program that we go by. Each and every one of our puppies are on a strict worming program and they also get medical attention 3 days before going to their new homes where they won't get stressed out leaving their siblings. Your new puppy will be seen by our vet at 3-5 days old for an exam, and dewclaws removed. They are wormed at 3,4 and 6 weeks several times with wormier that veterinarian use. They are vet health checked at 6 weeks of age and they get their first set of puppy shots. We DO NOT give any shots our self each puppy goes to our veterinarian to get their their first vaccination. We do not cut corners here at Sherry's Maltipoos we spend a lot of money here on our health care program and the puppies living quarters.Our puppies receive daily attention from the time they are born until they go to their new loving homes. When you purchase a puppy from us you will receive a copy of our worming and medical attention schedule that your puppy has been on from after birth until they go to their new loving homes. We are vet recommended and you may call our vet if you wish to verify our words or check our reference. Her name is Dr. Ashley Hill, D.V. M. and her number is 229-468-7343. Please visit our Puppy Supplies page to see what supplies and puppy food you will need to purchase before you bring your new baby home. We feed our puppies Purina pro plan chicken & rice brand puppy food. We highly recommend feeding your puppy Purina pro plan the chicken & rice brand it has everything your puppy needs to stay healthy. Visit our Puppy Supplies pageto find a store close to you. We do accommodate our customers by meeting them at No Charge at the following locations. We can meet you in Macon, Waycross and Lake Park, Georgia. Their is no charge for meeting you the Saturday when the puppies are ready to go. Please Note that we only make one free trip. We start meeting families at 11:00.